Dr. Sylvia Bailey Shurbutt came to Shepherd in 1987, having taught previously at Georgia Southern University, after receiving her Ph.D. at the University of Georgia in 1982. 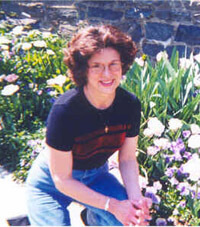 Dr. Shurbutt’s primary teaching and scholarly interests are English pedagogy, 19th-century British literature, linguistics, and Women’s and Appalachian studies, with her publications and research projects focusing on the work of such writers as Christina Rossetti, Jane Austen, Zelda Fitzgerald, Henry Louis Gates, Jr., Robert Morgan, and Denise Giardina. Dr. Shurbutt is particularly interested in rediscovering those women writers lost from the traditional canon and has devoted her energy to seeing them in print once again, as is the case with her research of Victorian poet and novelist Caroline Sheridan Norton. Dr. Shurbutt enjoys music, flowers, and visiting her daughter who lives in New Zealand; she is an avid biker and hiker, and she enjoys traveling, in particular guiding student travel study tours at Shepherd University.